For those who enjoy sand between their toes, wandering along coastal footpaths and exploring cobbled streets, Beachside Holiday Park is perfectly situated on Cornwall’s north coastline for travelling by foot or by car to many attractions and destinations. Visitors can take pleasure in walking coastal paths from Hayle to St Ives or take the car out for the day and adventure to near by towns including Falmouth, Penzance and St Agnes. Explore a variety of individual shops and alfresco cafes tucked away in the cobbled high street of Falmouth or take a hike from Chapel Porth to St Agnes Head and discover old engine houses among the coastal cliffs. There is an endless list of things to do and discover in Cornwall. Where will your holiday take you? 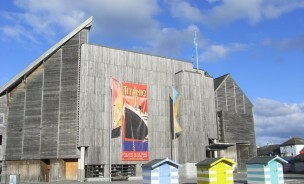 Located on the recently refurbished Event’s Square is Falmouth’s National Maritime Museum. The aim of the museum is to engage, entertain, collect and learn all about the country’s maritime history. The museum has won a number of awards, championing its nods to heritage and history as well as being a great family attraction. It features a number of rare antiquities from all over the world and includes an insight into Cornwall’s Viking history. Ascend the look out tower, which measures approximately 100ft, and descend into the museum’s tidal zone -­‐ one of only three natural underwater galleries in the world. 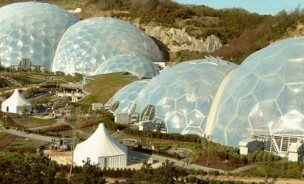 The Eden Project is a great place to escape the busy beaches, whatever the weather. An all weather attraction, Eden offers a vast amount of indoor space to explore which will keep you fascinated for hours! World famous for its indoor Biomes, visitors can experience the tropical heat of the rainforest and the vibrant fruity fragrances and herbal aromas of the Mediterranean. Once discovered the exotic worlds of the rainforest and Mediterranean, people can wander the miles of paths around Eden, taking in the stunning views of the wild Cornwall landscape. 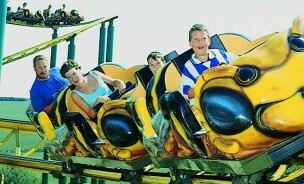 Flambards theme park is a great attraction for a fun family day out in Cornwall, with a large selection of rides and indoor entertainment, the theme park appeals to both thrill-­‐seekers and time travellers alike! Experience the exhilaration of the amusement rides or explore the life-­‐size re-­‐ creation of the Victorian village and Britain in the Blitz.